Nintendo of America has released a new trailer for Super Mario Party – launching October 5 for Nintendo Switch. The trailer shows off an overview of the different ways you can play the game: Portable, at home, or across two Switch screens. 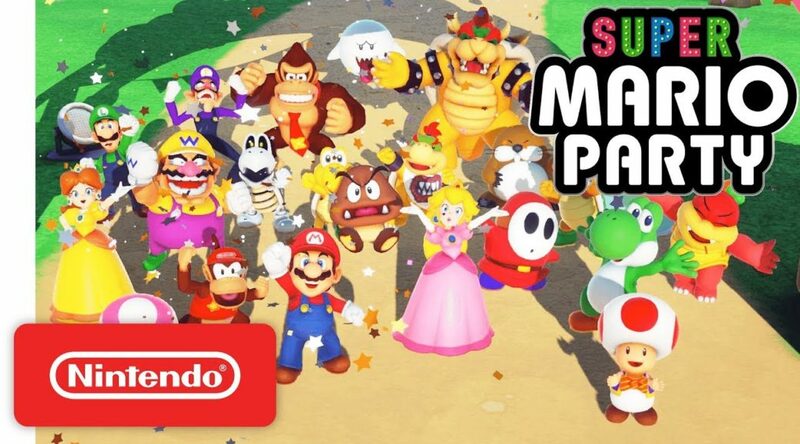 The original 4-player Mario Party series board game mode that fans love is back, and your friends and family are invited to the party! Plus, if you pre-purchase Super Mario Party on Nintendo eShop or Nintendo.com, you can earn 300 My Nintendo Gold Points! Super Mario Party is available Oct. 5th, only on Nintendo Switch.